One of our seven Principles that many Unitarians hold most dear is “the free and responsible search for truth and meaning.” This includes a very strong sense among us that we are on spiritual journeys through our lives. Some of us have intentionally moved from one religion to another; some of us only began to seek out spiritual practices, ideas and beliefs at some point along the way, most often as parents of young children or during the changes of mid-life. Further, we hold high the value of education; we see education for all people as a primary means of social progress. recognize we are part of an interdependent web of life. The volunteers in our community who organize these programs call themselves ‘Heart Mind and Spirit’ rather than an adult religious education committee. This is because our intention is to touch people in these parts of our being in many different ways over time. We offer evening, daytime and weekend programs for adults in areas such as world religions, spiritual practices, Unitarian heritage, leadership and communication skills, life issues and support groups, book study circles, exploration of art forms, and a broad spectrum of approaches to philosophy, theology, ethics, and values. 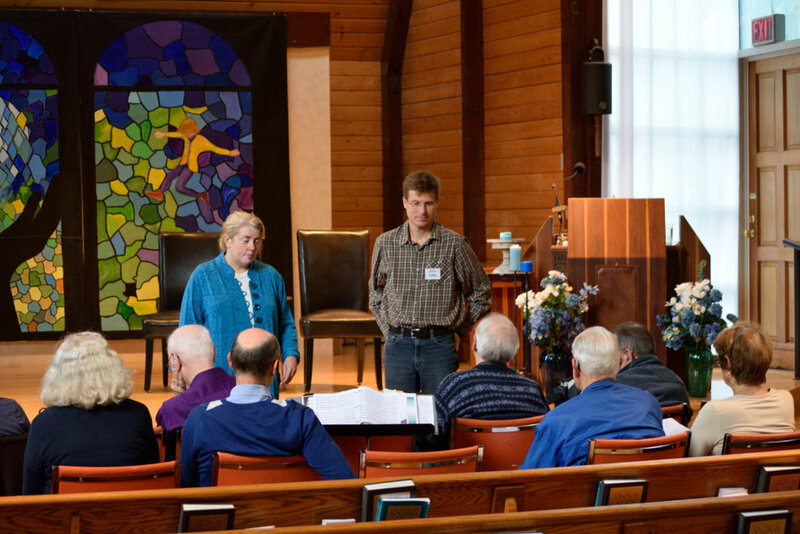 We aim to facilitate the spiritual growth of our community by providing opportunities for people to explore their individual approaches to Unitarian Universalism by sharing programs that deepen our heart connections. We also hope such programs inspire action in service to others. To see our current offerings, check both our calendar and our blog where you can find full information about the experiences available now, including often the specific topic that will be looked at in the next class.